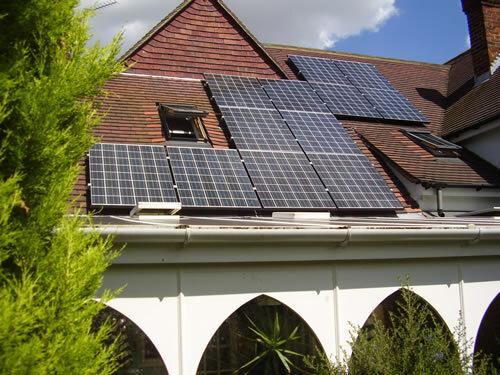 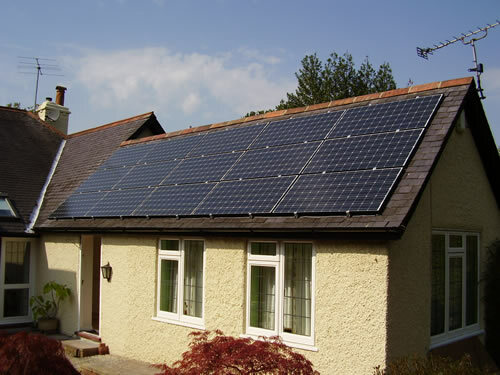 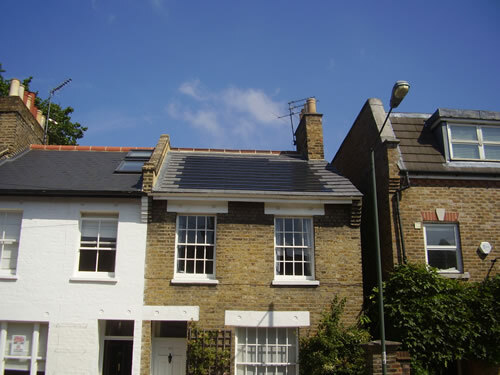 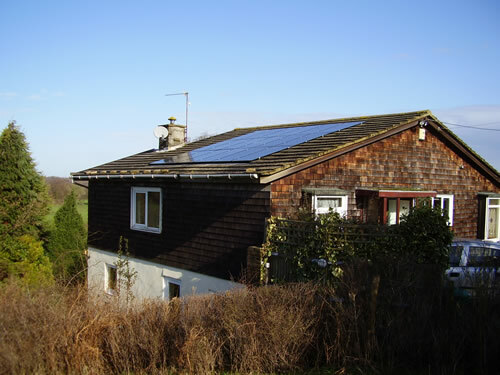 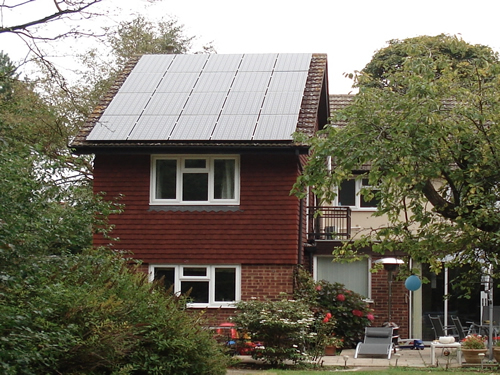 The retro-fit fixing method is the most common way of mounting PV modules on a pitched roof. 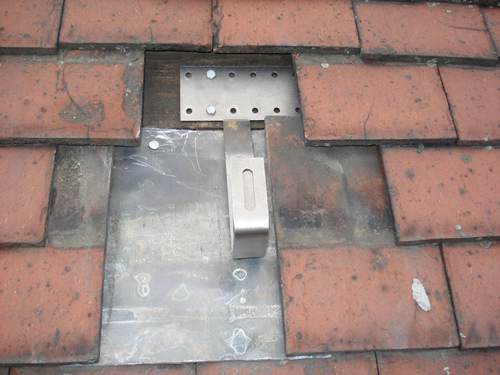 On tiled roofs, roof-hooks are fitted under the tiles to hold the rails, which in turn will hold the modules. 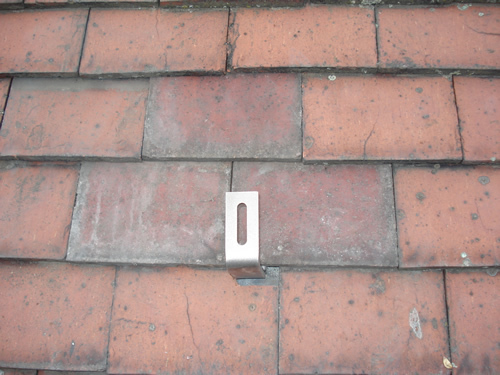 The hooks are fixed to the rafters with 3inch coach-screws and with the nibs cut off, the tiles sit as flat on the roof as they did before. 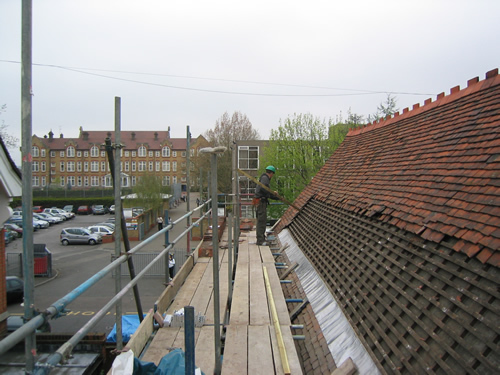 Flat clay tiles will need to be cut and dressed with lead in order to fit round the hooks. 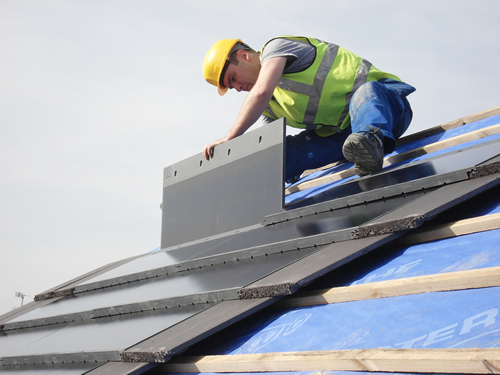 For commercial applications there is a wide range of clamps to suit modern roofing materials, such as brackets for trapezoidal tin roof and clamps for standing seam roofs. 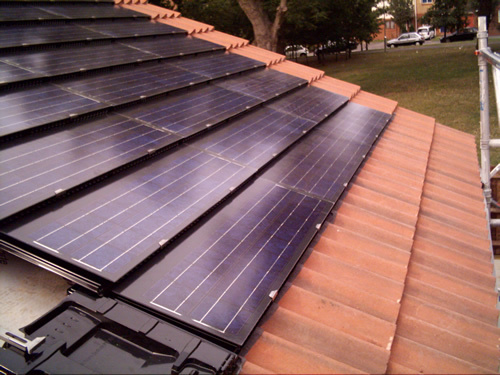 Semi-integrated mounting keeps the modules much closer to the existing roof-line than retro-fitting to give a more integrated appearance. 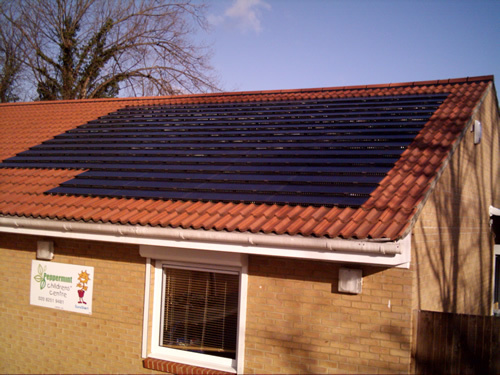 This is achieved by stripping the tiles / slate in the area where the modules are to be mounted, and replacing them with purpose built recycled plastic under-trays. 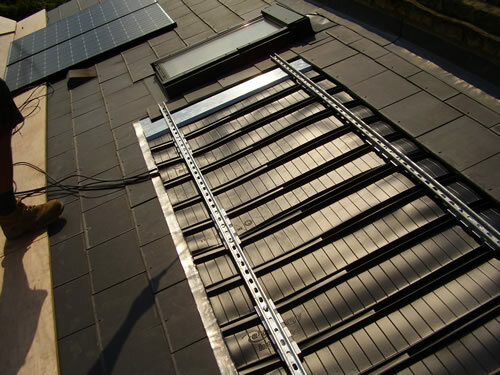 These act as the weatherproofing for this part of the roof, and also as a base for the anchors which secure the PV system. 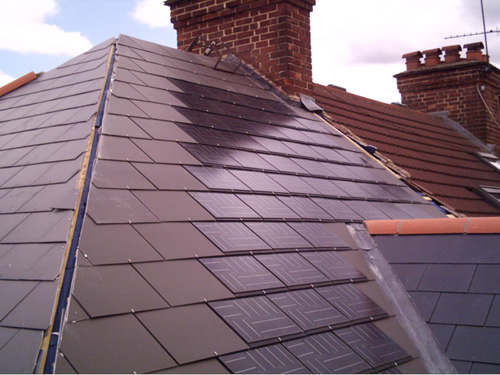 This method avoids wasting slate or tiles in the case of a re-roof or new build, and also keeps the roof weight to a minimum. 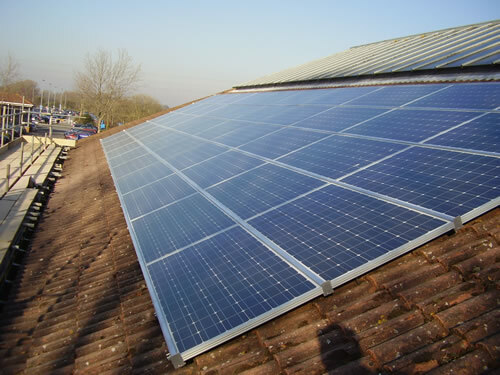 There will be no future problems of loose or damaged tiles underneath the modules, and any future re-roofing can be done around the PV array without needing to dismantle it. 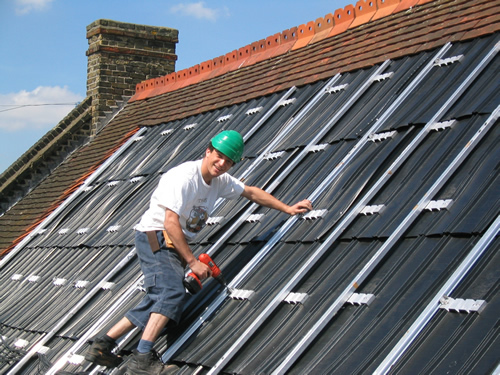 On new buildings or where a house is being re-roofed, roof integration is often preferred. 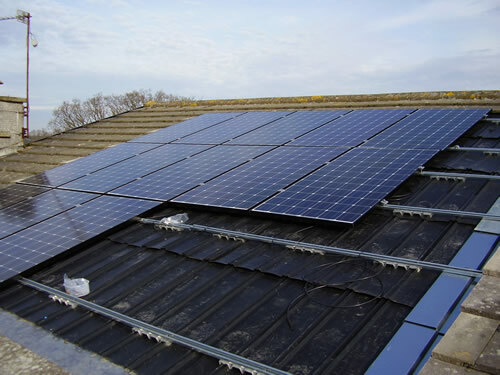 To install this system the roof must be laid new, and it sometimes needs to be counter-battened to allow ventilation behind the PV cells. 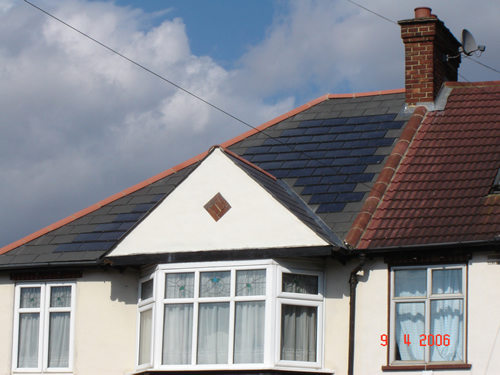 Eave and ridge vents must be built in for the same reason. 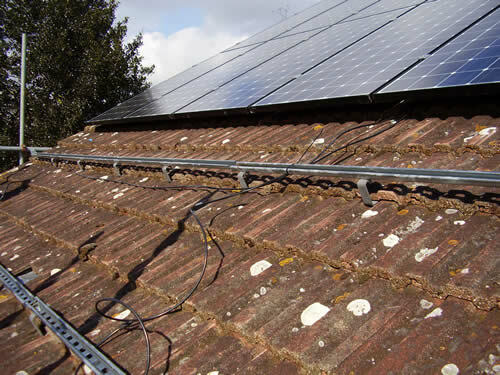 Roof integration is around a third more expensive than retro-fit or semi-integrated mounting, but it will give the roof cleaner lines and a more elegant appearance.